The Mediterranean island of Elba is at its best in spring. Quite a number of ancient hill villages still slumber as they did in Napoleon's time. Poggio, at the foot of the Monte Capanne, the 1019 m highest mountain on the island, is one of them. An Italian dolls house. After half an hour of going up and down steps, one has the feeling one has met everyone: Between the narrow winding pathways a mini-piazza is hidden, a fountain plays, the first bougainvillea show their spectacular flowers. Even if Napoleon only lived about a year in exile on Elba, his name has become synonymous with this lovely Mediterranean island. He made the island famous. His presence was and still is a blessing for Elba – you will meet him everywhere you go. Elba belongs to Tuscany, more precisely the district of Livorno. Originally the island was attached to the mainland and still has the same landscape you will find in Tuscany. It is hilly and thanks to the moist sea air always green. Elba is arguably the most beautiful holiday resort in Tuscany. The tourist infra-structure is good. 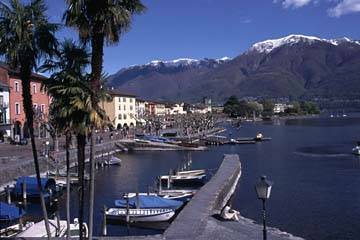 The island is 223.5 km² in size and the third largest Italian island after Sicily and Sardinia. Elba, the pearl of the Tuscany archipelago, is an island without limits: The sea, beaches, green countryside, mountain villages, archaeological treasures, chestnut forests and much more – an endless succession. 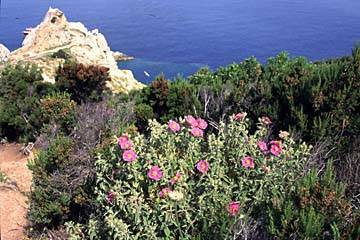 Visitors to Elba have the feeling that they have found the greatest variety a single island can offer. In spite of the relatively small distances, one passes through very different areas, on the one hand suiting tourist requirements, on the other hand still completely natural. Stretches of land dried out by sun and wind, green landscapes, sandy and stony beaches, steep cliffs. The best time to visit is in spring and late summer. Apart from its natural beauty, Elba offers a colourful selection of sunny beaches and little hidden bays on a glorious turquoise sea, as well as numerous interesting tourist destinations. There's something for many kinds of sport, too. Plenty of rooms have been reserved for us at the best hotel on the island, the Hotel Hermitage in Biodola, overlooking the sea and on the most exclusive bay the island has, with a private beach and the finest sand, three salt-water pools, beach restaurant etc., etc..
Dear Members, we really can look forward to our next Fly-In 2009! You will be receiving the invitation shortly!